One of my previous posts dealt with story writing and how to get some children enthusiastic enough to tackle a project like that. Another idea is to invite a guest who is happy enough to talk about their culture, country, occupation or hobby. For example a Japanese could communicate 23 ways to discover Japan. The key teaching strategy here is to conduct research and document the findings. The final project for children is of course putting something readable together for others to view and learn from as shown in this example. Questions such as; how many islands does Japan have? Name them. What is Kansai? How big is Japan or what is Japan's population? How many languages do Japanese people speak? What type of money does Japan use? 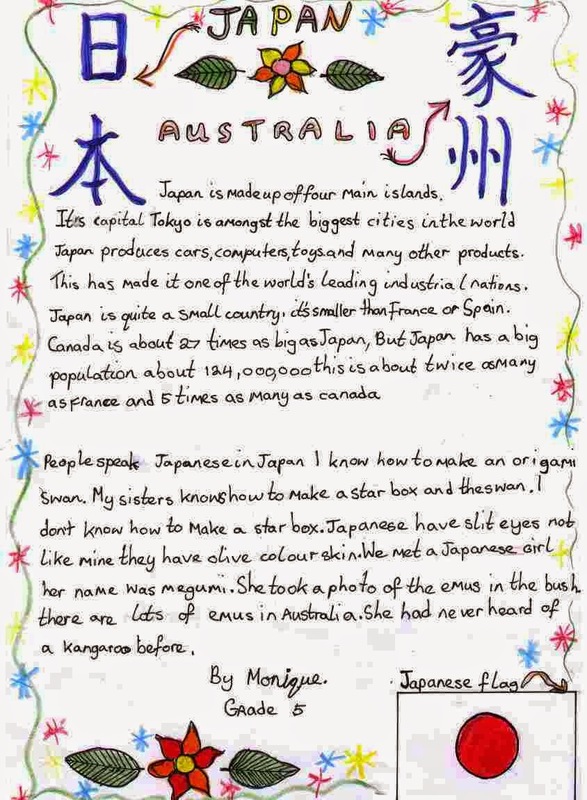 What is the capital of Japan? The list goes on but I think you would get the idea by now. In my opinion story writing is best done by using personal experiences. Children may not have that many experiences compared to adults yet some of the best stories have come from the youngest and smallest people on earth.